The new TaylorMade Milled Grind High Toe wedge. 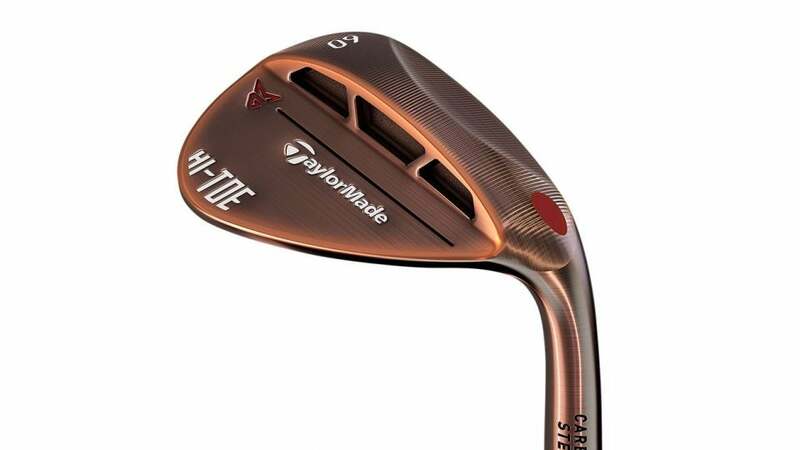 SPECS: 58°, 60° and 64°, with True Temper Dynamic Gold wedge steel shafts. RECOMMENDATION: Targets mid- and low-handicap players who like to open the clubface and manufacture the full gamut of short-game shots. KEY TECHNOLOGIES: Full-face scoring lines and expanded toe area for more spin across the clubface; a high-bounce leading edge and heel and toe relief for greater versatility from a variety of lies and turf conditions. The "high toe" design isn't exactly new—it's been used in a few notable wedge models over the years and favored by a variety of players, including Phil Mickelson. But TaylorMade's iteration takes the concept to a new level, with full-face scoring lines and a leading edge that resists digging. If you're a player who likes to hit a variety of shots around the green with higher-lofted wedges, the High Toe is the way to go. "The sole and leading-edge bounce really do help these wedges cut through any lie."